Middle of the week, kind of boring. Maybe you had a long weekend and just didn't want to go back to work. Maybe you just hate everything and live for tiny moments of pleasure you find on co-op news sites (high five!). Here's something cheerful for you to consume: the completely badass opening cinematic from Halo 5: Guardians. Also, Nathan Fillion's there. Like, his face, voice, and all. Halo 5 is billed as the "biggest, most ambitious Halo yet", which is saying a lot. Massive levels filled with exploding environmental setpieces, neon-lit sci-fi stages, ships flooding the background, and of course tons and tons of combat that prevents you from stopping to stare at the scenery. 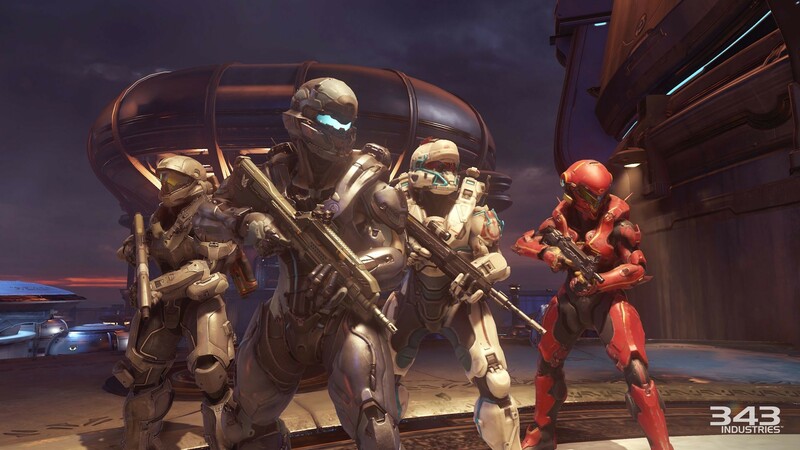 Halo 5 will mix together some of the best parts of the previous games in the series, borrowing non-linear gameplay from Halo 3, unique spartans from Halo: Reach, and switched perspectives from Halo 2. ​The big release is scheduled for October 25th, and this video is a pretty darn good way to get the blood pumping. Co-op sports four online players throughout the entire campaign, complete with drop-in/drop-out. If your friends have to run out to their cello lessons, you can give squad orders to your AI teammates in their stead. Unfortunately, couch co-op won't be featured in this iteration of Halo, which is a first for the series. Let's boycott Guardians, ok? Ha, just kidding. We've already called in sick to work and have been stockpiling Cheetos for weeks.